If the expected price tag for Philips' latest LED light bulb is any indication, a brighter tomorrow won't come cheap. The "75W replacement," known as the EnudraLED A21, apparently reduces energy by 80 percent, lasts 25 times longer than its conventional counterpart, and is expected to cost between $40 and $45. Given that's significantly less expensive than the outfit's 60W equivalent, but for us regular folks, that's not exactly a drop in the bucket. 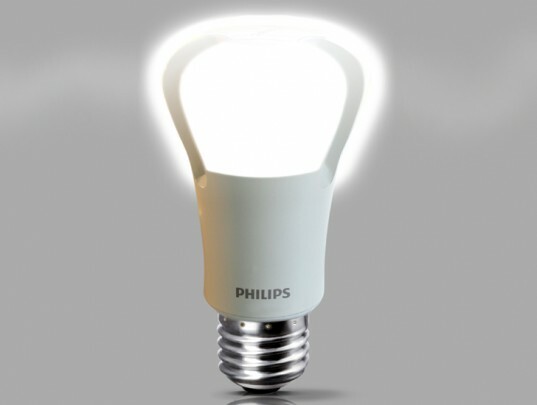 However, if you're picking up what Philips is laying down, the bulb -- which uses a mere 17 watts of electricity to beam 1,100 lumens -- could save the US 5,220 megawatts of electricity and $630,000,000 annually (if we all switch over tomorrow). That certainly sounds good, but somehow we doubt a $45 light bulb is going to be the incandescent killer. Full PR after the break. Philips EnduraLED A21 bulb offers bright light for big bucks originally appeared on Engadget on Mon, 16 May 2011 22:39:00 EDT. Please see our terms for use of feeds.